As the D10 is so easy to set up and take down, it’s highly transportable and can be taken with you anywhere. It is comprised of three pieces that fit neatly into a soft black carry case, which makes transport a breeze. 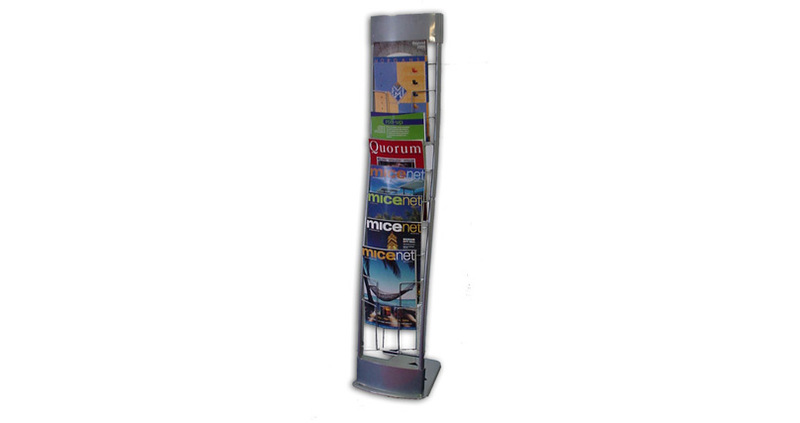 The slightly curved design of the stand ensures that your paper brochures remain upright, so you don’t have to worry about them falling forwards and bending. This not only makes them easier to access, it keeps them looking neat and professional. The D10 offers you an amazing 10 pockets that are able to accommodate documents that are up to A4 size. If you have fewer documents to display, some careful rearranging can easily hide the gaps. When set up, the stand will be 1365mm high x 300mm wide x 360mm deep. 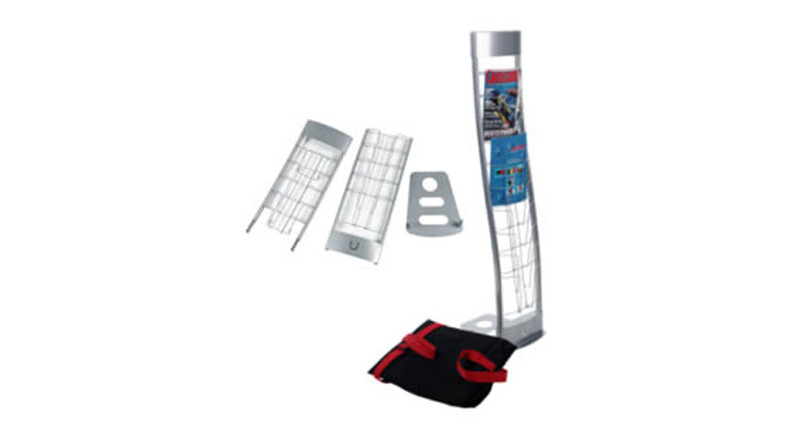 It is compact enough to fit into even the smallest of tradeshow booths. 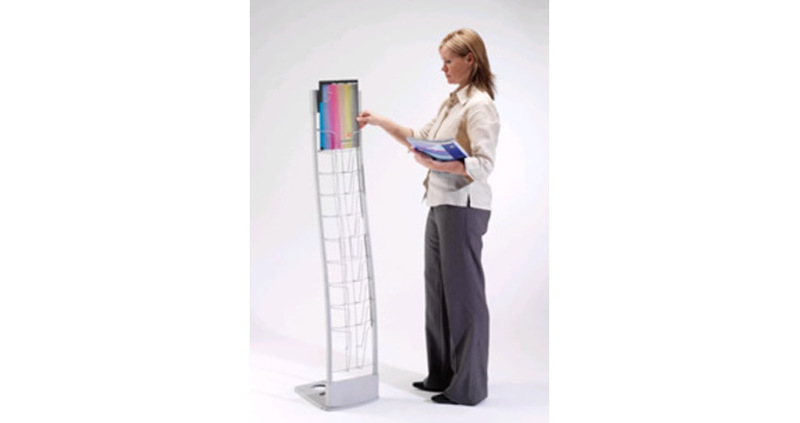 What colours does the stand come in? At the present time, the D10 brochure stand is only available in silver/grey. Will the pockets accommodate documents smaller than A4? The D10 is only available for A4 brochures.